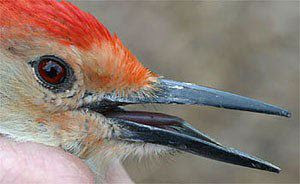 Woodpeckers are birds with long, sharp beaks. 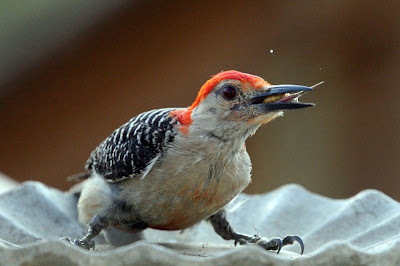 Woodpeckers have long, sharp tongues. 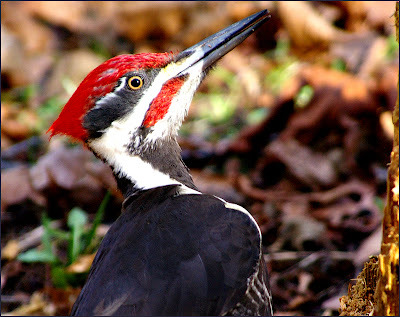 Woodpeckers feathers have many colors and patterns. 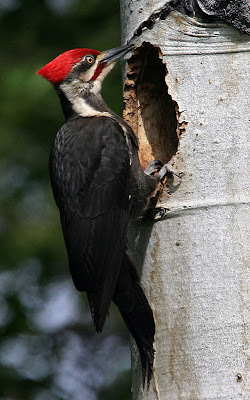 Woodpeckers live almost everywhere in the world. Most woodpeckers live in woodlands. 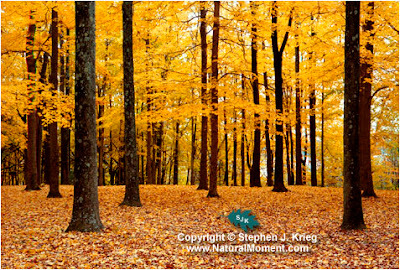 Woodlands are covered with trees and shrubs. Woodlands are also called forests. 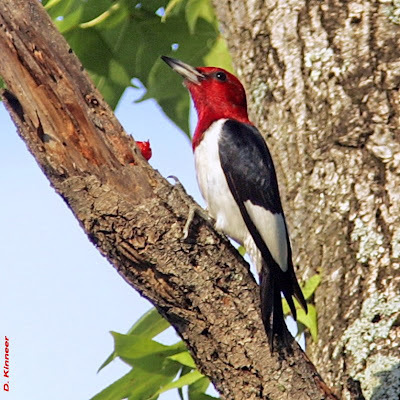 Woodpeckers use their sharp claws to climb up and down trees. 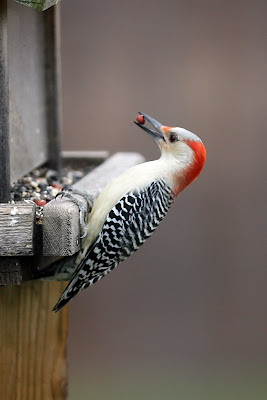 Most woodpeckers drill holes in tree trunks with their beaks. 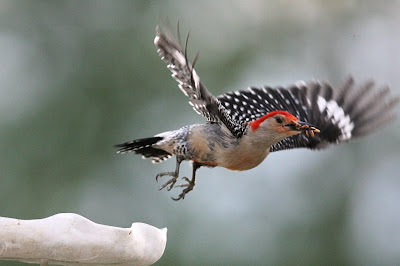 Wookpeckers make a drumming sound when they drill. 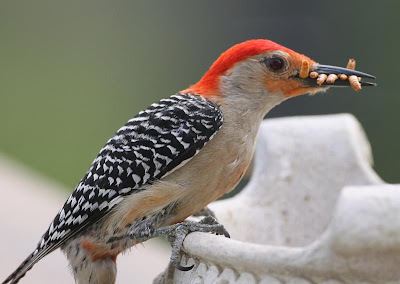 Woodpeckers eat nuts, seeds, insects, and fruits. 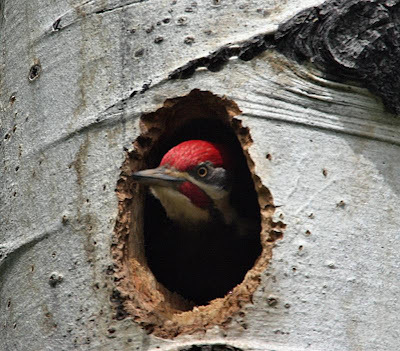 Woodpeckers sometimes make nests inside trees.